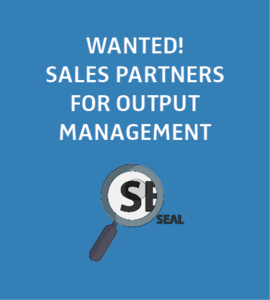 SEAL Systems, an internationally active software company specializing in corporate output management, is looking for sales partners in Europe with focus on Great Britain, the Benelux countries and Scandinavia. The relevant core areas are output management for SAP, Windows & engineering, form management and printer management. Of particular interest are companies who offer document-based SAP process consulting, as well as those who deal with the optimization of print infrastructure, including work in managed print (document) services. Through collaboration with SEAL Systems these companies can not only expand their portfolio, but also get the opportunity to help new and existing customers actively find solutions to their output management problems. In addition, they profit from a cooperative sales model. SEAL Systems’ Corporate Output Management connects all applications to all output channels. It processes all data formats from all company applications (SAP, Windows and Office, terminal server, PLM and CAD, smartphones and tablets, web applications, digital archives and DMS) to ensure a smooth, optimally controlled output to all channels. It also offers a broad functionality in all aspects of their print infrastructure and processes. SEAL Systems, based near Erlangen (Bavaria, Germany), is an internationally leading provider of solutions for information and document distribution. 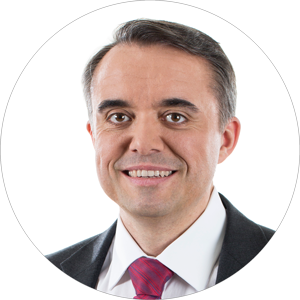 The company has three locations in Germany, active subsidiaries in North America, Australia and France, and partners serving other regions in Europe and overseas. The SEAL Systems Group has over 100 employees worldwide and has assisted more than 1,500 customers with installations.